Specially formulated to meet the needs of young plants. 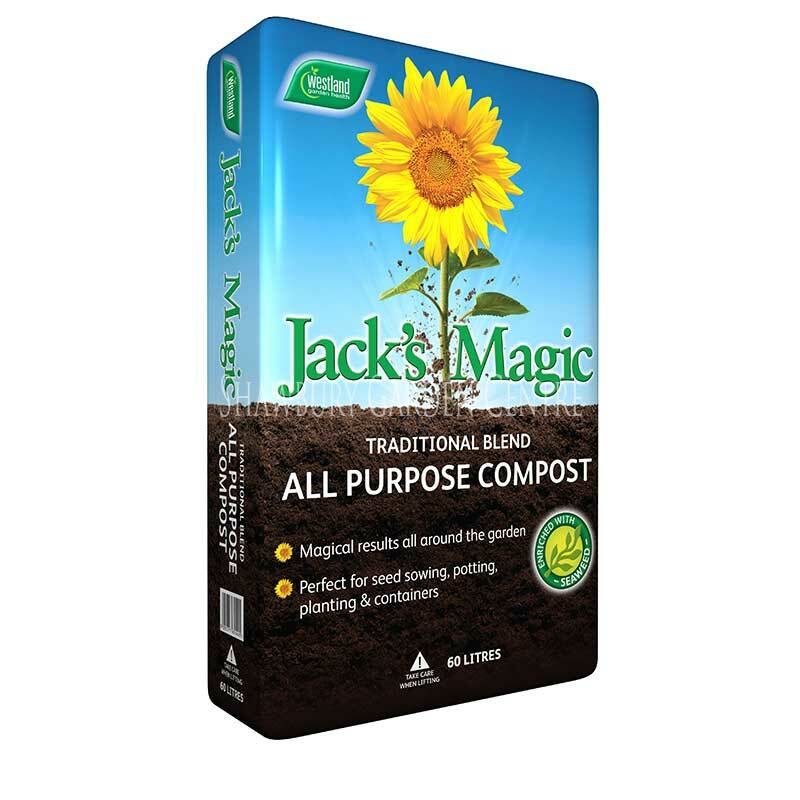 Even with a naturally reduced peat content, the loam based formula of John Innes Number 1 Compost means that it is easy to water and re-wet - an important factor when trying to establish young plants. Compost doesn't dry out as quickly, which can be a major problem with the smaller pots associated with seedlings and younger plants. Nutrient levels are balanced but kept relatively low - ideal for seedlings and young plants allowing them to grow on well without being overfed. The feed is formulated to provide good root establishment with sufficient nutrients available for up to four weeks plant feeding. The pH level of 6 to 7 is slightly acid providing the best environment for most plants to achieve optimum nutrient uptake - with the exception of acid lovers like Azaleas which need an ericaceous soil with a pH of around 4.5. 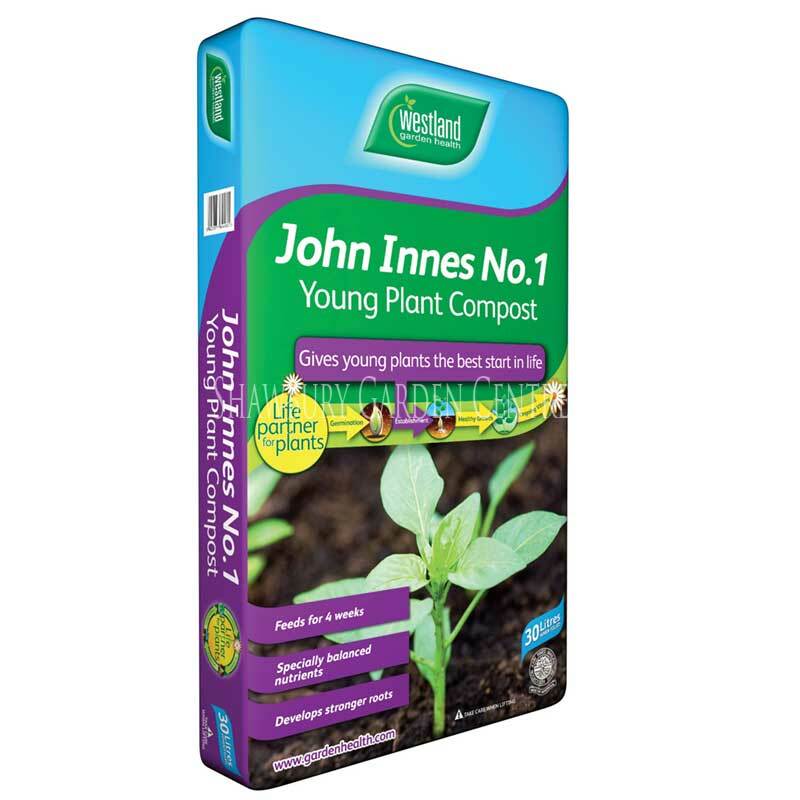 If you would like further information about Westland John Innes No 1 Young Plant Compost, please contact our garden centre at Shawbury just outside Shrewsbury in Shropshire, by calling 01939 251315 or emailing.